We asked attorneys throughout the United States what it means when a lawyer says "Permission to treat the witness as hostile?" Several attorneys responded and our readers might find what they said interesting. We hope you enjoy their answers. When you have called a witness in your own case in chief but they are an unfavorable witness or an 'adverse witness,' you may treat the witness as hostile and cross examine the witness. You technically do not have to request permission from the Judge but it is always good form and respectful if you do request such permission. When you have called a witness and are performing direct examination of this witness (because you believed they would testify as a favorable witness) but they start changing their story and are not cooperating, you may request permission to treat the witness as an adverse witness (aka 'hostile'). This allows the attorney to cross examine the witness. Under the rules of evidence, you are not supposed to ask leading questions of your own witness because leading questions suggest the answer. In other words, you can spoon feed answers to your witnesses, and that's not what the courts want. They want you to ask open ended questions so the witness can testify based on what they know instead of what the attorney tells them. "Isn't it true that the light was red?" Instead, they should ask 'What color was the light?' This way the witness answers based on their own experience. For the first question, the other side's attorney would object to the question as "leading." However, if the witness is 'hostile' for whatever reason then you may ask the court to declare the witness as hostile so you can ask leading questions, even if the attorney called the witness. Without such a showing, it is presumed that your own witnesses are not 'hostile', so opposing attorneys will object to your questions as leading. Usually, a 'hostile' witness is one that won't answer your questions, shows a bias against you, or other similar reasons. I once had a hostile witness in a criminal case where I was a prosecutor, and the witness was a cooperating criminal. He wouldn't answer my questions directly so I asked the judge to declare him a hostile witness. The essence of the question is asking the court to recognize that the lawyer has called a witness to the stand on direct examination that is hostile to the claim or defense. Normally, a lawyer is given very little latitude when questioning witnesses favorable to her positions in the case. The lawyer is not supposed to ask a question that suggests the desired answer. Lawyers call these 'leading questions.' Think of them this way, a leading question essentially allows the lawyer to testify through the witness by designing questions that can only be answered in a yes/no format. Questions that begin with 'Isn't it true that...' or that in themselves are statements not asking for open explanation are leading questions. If I as a trial lawyer called the witness to the stand there is a normal presumption that the witness is favorable to me, therefore I cannot ask leading questions. When the lawyer asks the court to treat the witness as hostile, the lawyer is asking permission to lead the witness to make specific points from a witness that normally does not want those points made. Normally, unless the witness is actually an opponent in the litigation or a hired expert witness for an opponent, the court will not allow the witness to be treated as a hostile witness until the witness exhibits hostility to the sponsoring lawyers positions in testimony with non-leading, open ended questioning. If I am representing my client and call a witness, I generally expect that witness to support my case. Sometimes a witness will have information that is NOT supportive. Since I've called the witness, I may ask the court to name the witness as 'hostile.' That allows me to use the tools of cross-examination which are not generally allowed in direct testimony. The phrase appears in movies and television more so than in real life. However what it really means is that the lawyer is seeking the ability to ask 'leading' questions of the witness. A 'leading' question is one that suggests the answer desired by the lawyer. Examples include 'You never actually saw Bill that night, did you?' or 'You never reported the incident to management, did you?' Leading questions allow the lawyer to control the dialogue more easily so that the jury hears the testimony in such a way that is the lawyer's choosing while making it harder for the witness to avoid answering the question. Generally a lawyer cannot ask leading questions of witnesses unless the witness is on cross-examination or is being clearly evasive in the witness' answers (i.e. 'hostile'). So the lawyer is asking the judge to make the determination that the witness is being clearly evasive so as to allow the lawyer to ask leading questions. Certain witnesses are assumed to be 'hostile' and therefore it isn't necessary to ask for permission to ask leading questions. These can include opposing parties, people employed by opposing parties or otherwise under the influence or control of opposing parties. Certain questioning techniques are allowed when a witness is consideredhostile, which would otherwise be objectionable. The best example - alawyer can ask the witness questions that are leading in nature, which wouldotherwise not be allowed. A judge will grant such permission if the witness is not answering questions properly, being evasive or otherwise difficult. Generally speaking the phrase 'permission to treat a witness as hostile' is a cue to both the judge and the jury that a witness is not cooperating with the judicial process and/or is not being honest with their answers. An attorney can ask questions to a hostile witness that they would not be able to ask a friendly witness, so the allowance can broaden the manner of interrogation. Normally when a lawyer calls a witness they are only allowed to conduct direct examination. So for example, a question might be 'What time did you leave the store?' After a lawyer finishes questioning a witness the other side gets to cross examine the witnesses. In cross examination you can ask leading questions. A leading question might be 'Isn't it true that you left the store at 4:30?' The advantage to a leading question is that the lawyer is providing the information to the court through the witness. When a lawyer calls a witness who is non-cooperative or refuses to answer questions, they can, at the discretion of the judge, be considered hostile. When a witness is determined to be hostile the lawyer on 'direct' can then use leading questions to facilitate their testimony. This technique is used if you require the testimony of the adverse party,or someone close to them (parent, spouse, employee, etc.) in order to make a critical point in a case. A lawyer has to be careful though, because judges don't always grant the request. Then you are stuck trying to 'pull' what you need from direct questions, and then the other lawyer gets to lead what might be a very friendly witness to them. I have tried civil, criminal and family court cases involving direct and cross examination of witnesses, and dealt with the 'permission to treat the witness as hostile' question in a multi-day trial just a few weeks ago. This is when a lawyer asks a Judge permission to ask a witness, usually his own, leading questions (You saw my client sign the contract, correct?) on direct examination. Leading questions usually are only asked during cross examination. A hostile witness is someone who's testimony is contrary to the facts and law the lawyer seeks to present, therefore the lawyer must now impeach the testimony of the witness. A witness on cross examination is presumed to be hostile, so the lawyer does not need to seek the court's permission to treat the witness as hostile. The short answer is that it means the lawyer is asking the judge if the lawyer may insert a ring through the witness's nose and lead the witness wherever the lawyer leads. Now, why might that lawyer need that permission and why might the judge grant it? Well, broadly speaking, there are two rules that lawyers must follow at trial concerning the manner in which lawyers question witnesses. On direct examination, a lawyer generally may not 'lead the witness.' On cross-examination, the lawyer may do so, and generally will use nothing but leading questions. On cross examination, which occurs when the lawyer is questioning a witness called or clearly associated with an adverse party, the lawyer is permitted to lead the witness. Cross examination is great fun for trial lawyers, because in essence, they get to do the testifying. In theory, the lawyer just puts the words in the witness's mouth, and ideally all the witness says is yes or no. And as a result, the lawyer has much greater control over the course of the testimony. Well-coached witnesses will fight you, but there are other techniques for dealing with that problem. By contrast, direct examination involves much less control by the lawyer and can be more challenging for that reason. So what's with this permission-to-treat-witness-as-hostile question? Well, on occasion a lawyer may have to call a witness in his client's case-in-chief who is just not all that fond of the lawyer's client. Now, if that witnesses is someone clearly identified with an adverse party in the case-let's say plaintiff calls to the stand in her case-in-chief an employee of the corporate defendant-then the lawyer may get to call the witness 'under cross-examination.' In that instance, the lawyer can start with leading questions right out of the gate, from the first question. But let's suppose the witness I have to call is a former employee of my client and for reasons totally unrelated to this case, that ex-employee is just not a real fan of my client anymore. The judge probably will not permit me to call the witness in my client's case-in-chief 'on cross examination' right out of the box. Instead, I may have to begin the questioning as if on direct examination with my usual non-leading, who, what, where, when, and why questions. If, however, the witness starts going off on my client, clearly demonstrating hostility and damaging my oh-so-well-crafted story for the jury, then I turn to the judge and say, 'Your Honor, may I have permission to treat the witness as hostile?' And if the judge grants that permission, I may now start using leading questions to get the witness to where I want to go. When a lawyer asks permission to treat a witness as hostile, they are doing that so that they can 'lead' the witness. When an attorney calls a witness and questions him or her, that is called a direct examination and the attorney must ask open-ended questions rather than leading questions. This is a more amiable conversation than a cross-examination, during which leading questions are asked (wherein the answer is implied). Unfortunately, sometimes a witness that may be helpful to your case does not want to cooperate and therefore, your client will be better protected if you can ask leading questions (it's also easier to elicit the answer you want). The attorney must request permission to treat the witness as hostile so that the leading questions are not objectionable. When a lawyer asks to treat a witness as hostile they are asking the Judge for permission to question the witness in a certain way. Traditionally when a lawyer calls a witness in their case in chief (i.e. the plaintiff's lawyer calls the defendant as a witness on the plaintiff's behalf), the witness may not be favorable to the parties case (i.e. the defendant doesn't want to testify on the plaintiff's behalf). When you are calling your own witness that is determined to be hostile you may do certain things such as ask leading questions 'Weren't you there on that night' instead of 'Where were you on this night'. It basically involves starting the question off assuming the answer or using questions that solicit yes and no answers. The goal of leading questions is to solicit information the witness is otherwise going to be elusive in providing when asking open ended or less direct questions. Attorney's usually have an unfettered right to ask leading questions on cross-examination, so if the plaintiff's lawyer calls the defendant as a witness, when the defendant's attorney is cross examining her at that time, the defendant's attorney may automatically (subject to each state's rules) use leading questions. Generally, a witness must ask open-ended questions when examining their own witnesses and can only cross-examine (i.e., ask leading questions) when questioning witnesses called by an opposing party. However, sometimes a lawyer needs to call as a witness someone who is not cooperative and acting hostile to the lawyer and his client. If that happens, the lawyer can ask the judge for 'permission to treat the witness as hostile.' If the judge agrees, the lawyer can then ask leading questions. 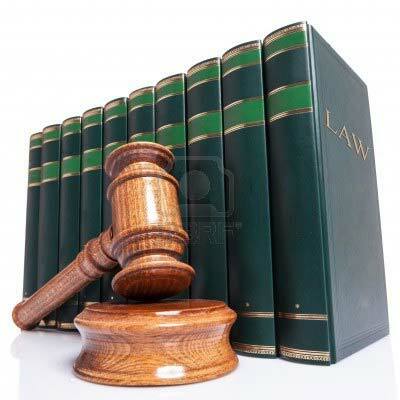 A judge will review both the witness's manner on the stand and any interest adverse to the lawyer and his client. So, most frequently, a lawyer tries to question his witnesses with open-ended questions and seeks permission to treat as hostile after the witness demonstrates hostility and un-cooperativeness. Nevertheless, sometimes a lawyer can ask before even questioning if it is clear that the witness will be adverse. If not granted, he can request again if the witness is, in fact, hostile to the initial questions. The meaning or purpose of asking the court for leave to treat a witness as hostile is that the attorney is seeking leave to ask leading questions (which are generally not allowed on direct examination of a witness that the attorney has called to testify) and to possibly impeach or discredit the witness with his/her prior statements or conduct. It is generally used when a witness who is either thought to be neutral, or even un-helpful to the attorney's client in some respect, has to be called because they can offer some key piece of evidence that cannot be introduced otherwise. An adverse or hostile witness is a witness whose trial testimony, on DIRECT examination, is "adverse" or "hostile" to the lawyer questioning the witness. For example, a lawyer calls the complainant at trial when the lawyer represents the defendant who supposedly victimized the complainant. The lawyer can ask that the complainant be designated "hostile" because the complainant is adverse to the defense position. Allowing the witness to be designated hostile allows the lawyer to then ask LEADING questions. A leading question calls for a "yes" or "no" answer. The direct examination then proceeds in a leading manner (as if the witness is being cross-examined). -Neal Davis is a criminal defense attorney in Houston, Texas and founder of the Neal Davis Law Firm, PLLC. Neal is board certified by the Texas Board of Legal Specialization in criminal law and has garnered national recognition for defending cases before the US Supreme Court and Texas courts. You are asking the judge to allow you to ask the witness leading questions, which have presumptive elements about them and may even suggest the answer. Some witnesses are adverse by nature - party opponents for instance. They are hostile witnesses by nature and will usually erect vague and ambiguous answers to your questions. They can drag the case on with such antics. Who, what, when, where and why are not leading. "Isn't it true?" is a leading question and allowed during cross examination or if the court allows leading questions on direct examination of a hostile witness. An angry witness is stewing on the witness stand poised to pounce at any moment on our hero - the social pariah of a lawyer who is taking on corrupt government, big business, or vile criminals. As our hero fires off several rounds of questions, he's outmatched by the cunning of the witness. Until suddenly, our hero screams out, 'Permission to treat the witness as hostile?' The judge readily grants the motion and a high stakes drama unfolds which eventually leads to the witness's shocking confession before a stunned jury. But permission to treat a witness as hostile isn't usually all that exciting. The rules of evidence allow attorneys to use leading questions in cross examination against the opposing counsel's witness. A leading question is a question that implies the answer and usually involves a yes or no question. For example, these types of questions might start with 'Isn't it true you...."
Usually, these types of questions are improper with one's own witnesses. The jury needs to hear testimony from the witness, not the lawyer. So, a lawyer should ask his own witness open ended questions such as who, what, where, when, why, and how. The idea behind the rules is that the opposing counsel's witnesses may be biased or untruthful and leading questions are a tool to fully examine the accuracy of a witness's statement, whereas one's own witnesses must be free to explain what he or she witnessed and not influenced by an attorney trying to win a case. And yet there are times when the attorney's own witness is evasive or prone to be hostile by virtue of the circumstances of the case. In those times, a court may grant latitude to use leading questions because the attorney's own witness is not much different from that of opposing counsel. This is a very common tool when witnesses recant prior testimony. While this fun declaration is usually not as exciting as it's portrayed in the media, it's a very useful tool to the skilled lawyer to get to the bottom of the matter. A Television show for military related crimes by former pilot turned Lawyer : Lt. Cmdr. "Harm" Rabb. Jr.
A Television Show for Military Related Crimes by Former Pilot Turned Lawyer: Lt. Cmdr. "Harm" Rabb. Jr. I have really enjoy browsing through this site. I love using LawCrossing because it provides you with exclusive information. LawCrossing Fact #1: LawCrossing is free for all students to use during the school year until they graduate.